A dry ear is a happy ear. This non-stinging, alcohol-free formula turns into an absorbent powder finish. This helps maintain the ear’s normal pH balance to instantly control unpleasant ear odor. 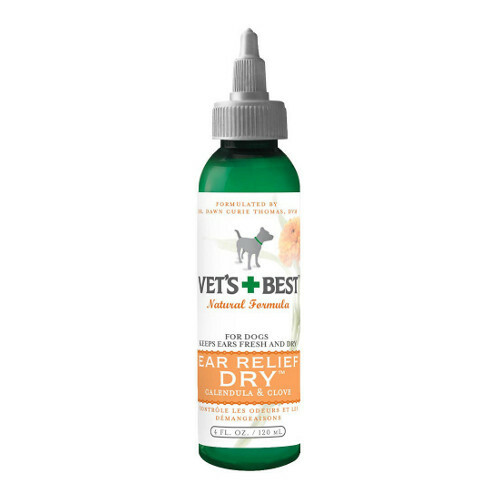 Also helps prevent ear scratching, guards against waxy buildup and swimmer’s ear, plus soothes red, sore ears. Clove Oil, Aloe Vera, Chamomile,Tea Tree Oil, Silica and Echinacea.